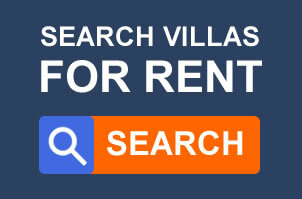 Luxury villas for rent in Goa for large groups and families! These private villas can sleep more than 10 adults and are best for people who want to stay together and celebrate special events like anniversaries and birthdays, or simply stay together with their nearest and dearest ones and spend some quality time together. Plus, there are cost savings too when you share a large villa, as the per person cost is less than what you pay at hotels offering the same amenities and comforts. Group accommodation is much more affordable than individual rentals. The larger your group, the less you pay. Also, the longer you stay, the bigger a discount you are likely to receive. We have a wide range of villas in the North and South of Goa that can accommodate group of 50 people. Many of our properties also offer additional services such as cooking and cleaning so that you can be assured of an ultimately relaxing stay. Please contact us to get more details and special offers.